Lots of SPA templates (Angular, React, Vue, Aurelia etc.) 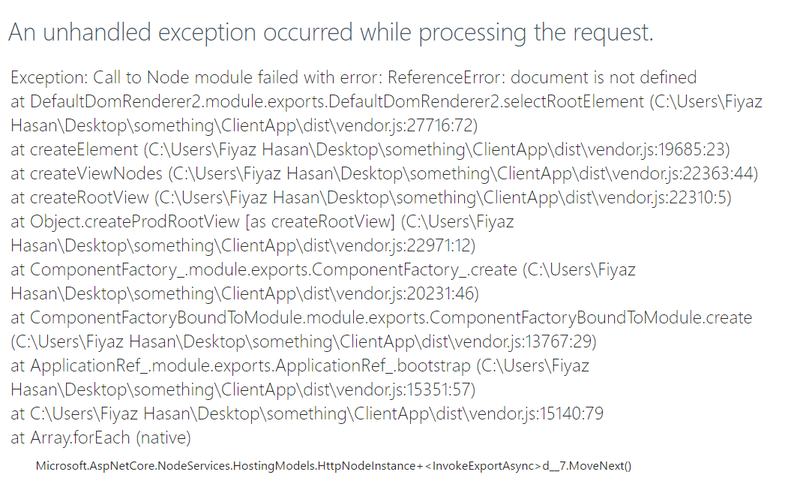 are available in this repo that uses NodeServices for server side rendering. 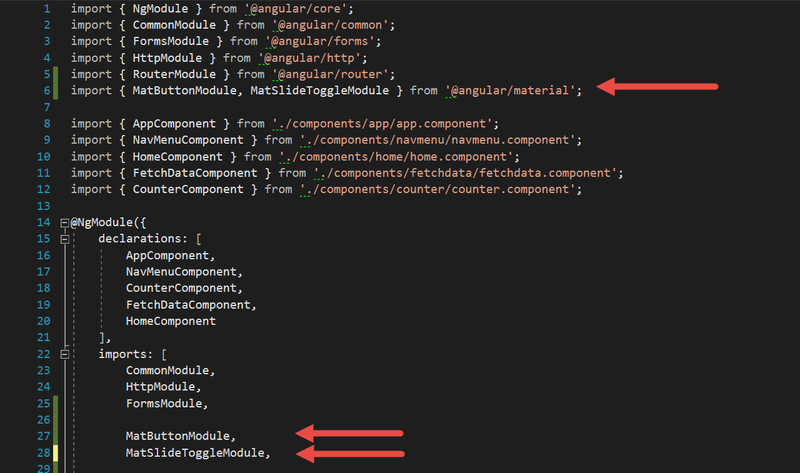 We will work with the AngularSpa template and add Angular Material in it. 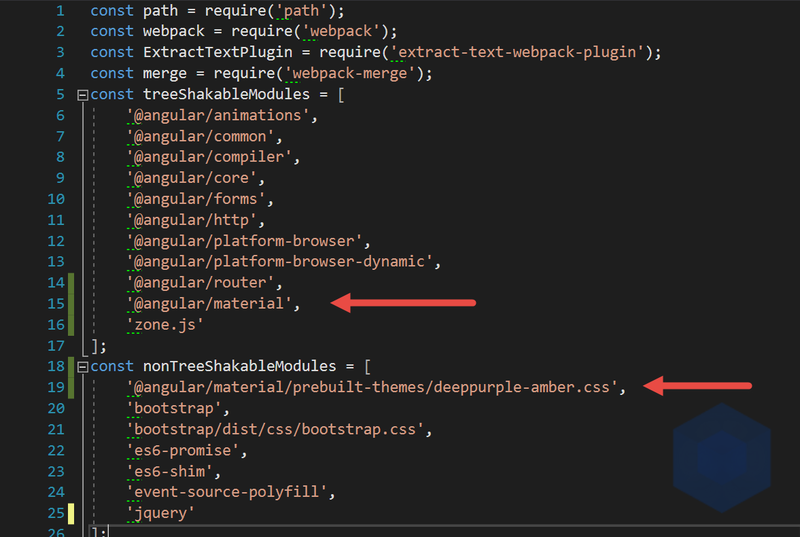 N.B: I'm using the deeppurple-amber theme. 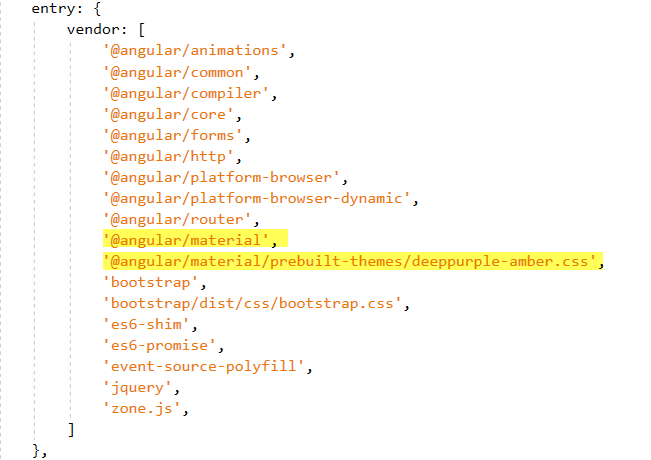 There are three other themes available in the @angular/material/prebuilt-themes directory. Use one of your like. And you are good to go. Run the application and you should not face any issues. Import the animation module (BrowserAnimationsModule) and add it to the imports array. Add it in the app.module.browser.ts file. This is because you are using server side rendering (SSR) and in server-side Angular Universal doesn't let you access the document object of the browser.